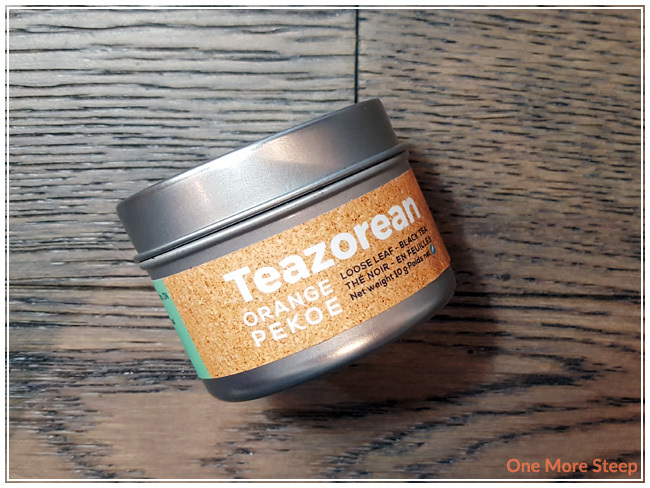 Teazorean has provided me with Orange Pekoe for the purposes of providing an honest review. When Teazorean got in contact with me about trying out their teas, I was intrigued. Teazorean describes themselves as a “socially conscious” tea company, where 5% of net proceeds of their products goes towards Whale and Dolphin Conservation. Also to set them apart is the fact that their tea originates from a tea farm in Europe (the only commercial tea farm in Europe! ), and can be found in part of the Azores Islands in Portugal – which is a series of volcanic islands. 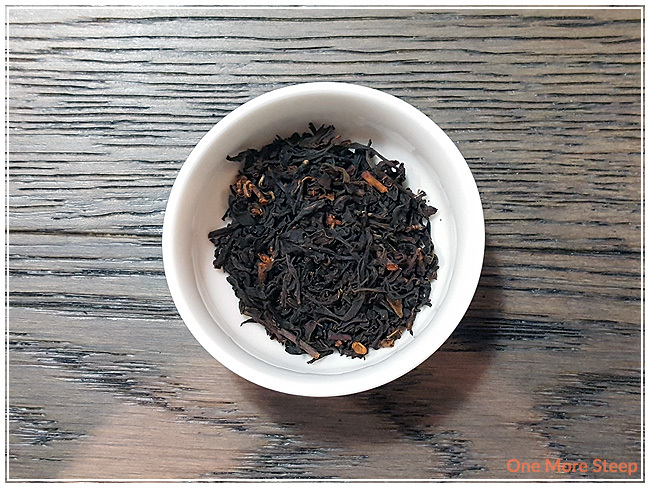 Orange Pekoe came to me in a sampler-sized tin with 10g of the classic straight black tea. The tea leaves themselves vary in size, with beautiful golden orange tips at the end of some of the leaves. The aroma from the leaves is quite subtle, but there’s a sweet mixture of floral and a robustness that reminds me of Assam. Teazorean recommends steeping Orange Pekoe at 205°F (96°C) for 5 minutes. 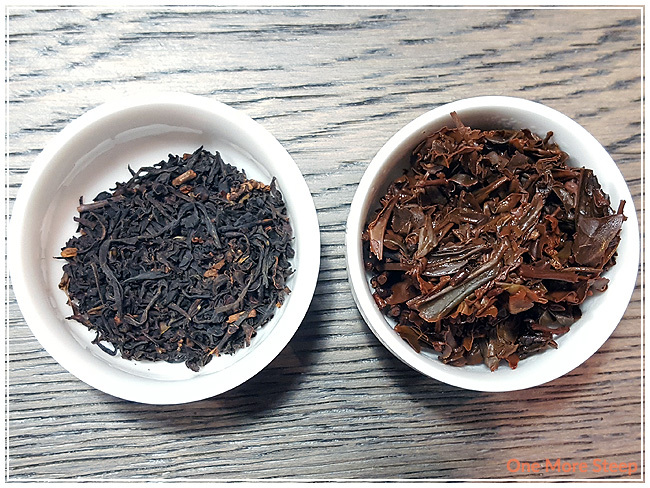 I followed the recommended steeping instructions for my initial steep of Orange Pekoe. 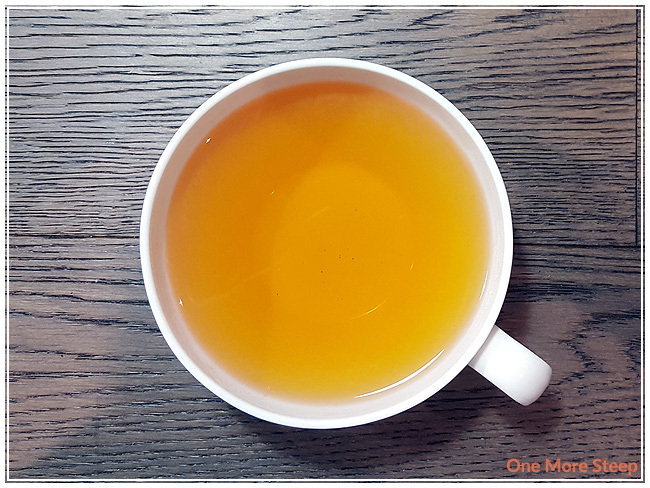 Orange Pekoe steeps to a beautiful golden orange, with a very subtle aroma that wafts up from the tea. I smell a touch of honeyed floral sweetness in this black tea. On first sip, I taste a slight sweetness, floral, with a touch of astringency. 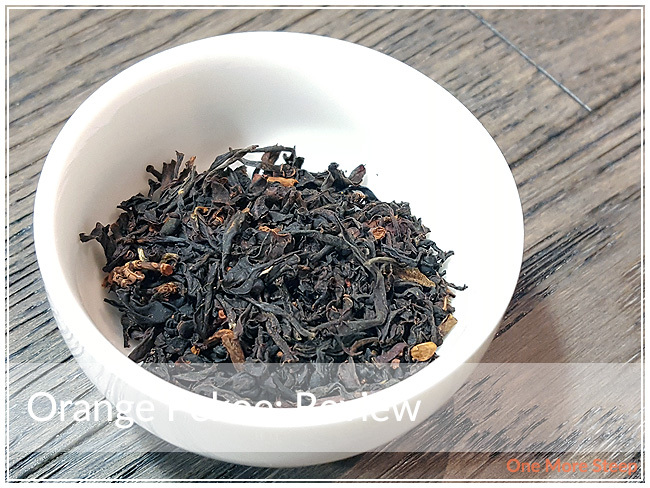 I found the flavour to be complex and inviting, while being fairly similar to the orange pekoe teas that I’ve enjoyed in the past. I found the Assam-like qualities to this tea to add a bit of oomph behind this tea, and reminds me of the strength of a classic breakfast tea. I added a touch of honey and cream to my cup of Orange Pekoe to make it reminiscent of the milk tea of my childhood. I found that the honey helped boost the floral flavours, while the cream helped to tone down the astringency of the tea. I resteeped the Orange Pekoe leaves a few times and managed to resteep them an extra three times. I found that the flavour of the tea stayed true to itself for the first two resteeps, while becoming considerably weaker by the third. I would say that Orange Pekoe would be good for an additional two resteeps. I loved Teazorean’s Orange Pekoe. The natural sweet, floral aroma and flavour to this volcanic island black tea is such a delight to the senses. I’m not terribly fond of the mild astringency that I found, but when I added the sweetener and cream (like I often do with some black teas), the astringency disappears. The robustness of this tea reminds me of breakfast teas, so this could do for a good coffee replacement if you’re looking to switch from coffee to tea. It takes sweeteners and cream/milk very well, so it’d also do well as a latte as well if you’re into tea lattes.